I have a dark brown boot leg corduroy trouser. What can I team it up with? First, bootleg corduroy can be outdated, I would need to see the shape of it. If it is really straight and quite long I advice to roll it up to update it. 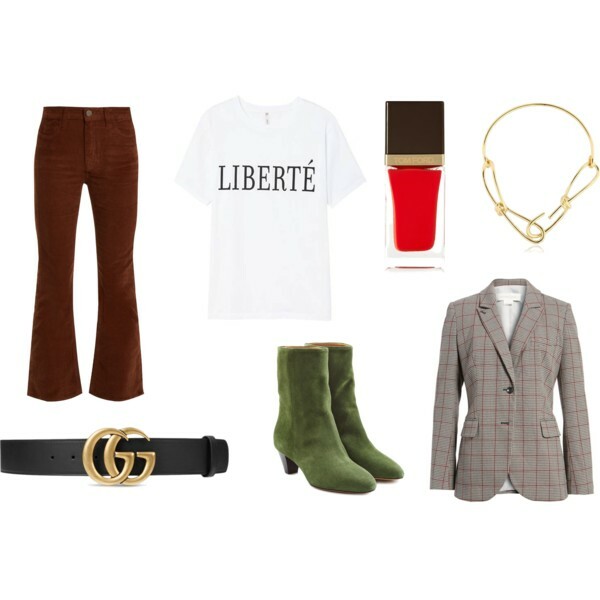 I guess you have just read my “how to wear corduroy” article since you are posting under it, so here are, without further introduction, 4 outfits ideas. Cream and chocolate have always been a good mix, insert some cappuccino on shoes and lipstick red as an accent on bag, nails and print and you are good to go! 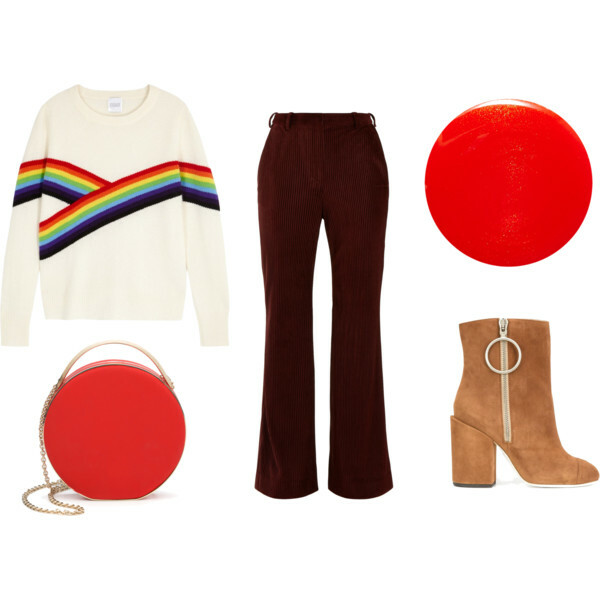 Regarding style, I opted for sporty and simple, reminding of the seventies. I was out of cool chocolate corduroy so I took caramel instead. A nice mix with cream, darker brown, gold black and burgundy leopard, all in the same color harmony. Stylewise, I opted for refined and cool mixing a sophisticated bag, top and shoes with a chunky biker jacket and belt. Here are brown wool carrot pants (because no corduroy was out there). I mixed them with crisp white and red for the energy, another shade of brown and black for elegance. The collar shirt and the red sweater shall both be tucked into the pants to show a defined waist. The white of the short adds some light to the whole outfit. On the feet, the black sandals elevate the silhouette whilst the comfy socks keep the thing comfy. Here the look is typical 2017 with flared pants, booties, a graphic T-shirt and a plaid blazer. Moss green and brown are of course as perfect for each other in an outfit than they are in the forest. The red, white and gold freshen and modernize the style.